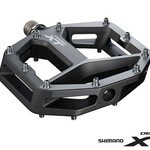 The XT M8040 Flat Pedals are Shimano's answer to the ever-popular trail riding and enduro market. The M8040's feature a slight concave platform and 10 pins on each side will keep your feet securely placed on the pedals when things get rowdy. Chromoly axles and serviceable cup n cone bearings are used, so longevity is a sure thing! 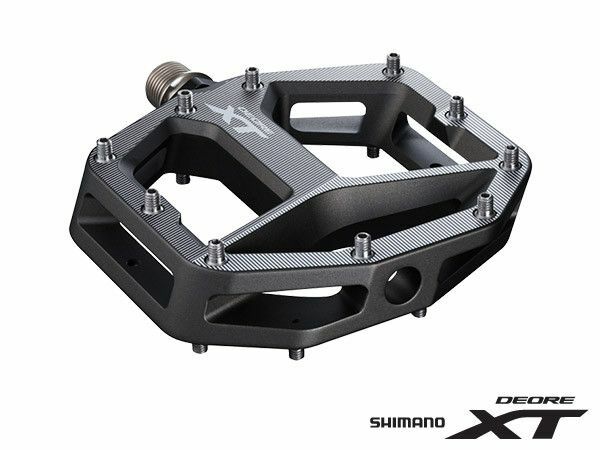 The body of the pedal is forged and machined from alloy to keep a good balance between strength and weight. Shimano offer the M8040s in two different size platforms, which makes a lot of sense to ensure a good match between pedal and shoe size. In addition to different size platforms, the pedals also come with two different pin lengths so you can customise the pedal to suit you perfectly!